Abel-prize winner Karen Keskulla Uhlenbeck built bridges between analysis, geometry and physics. 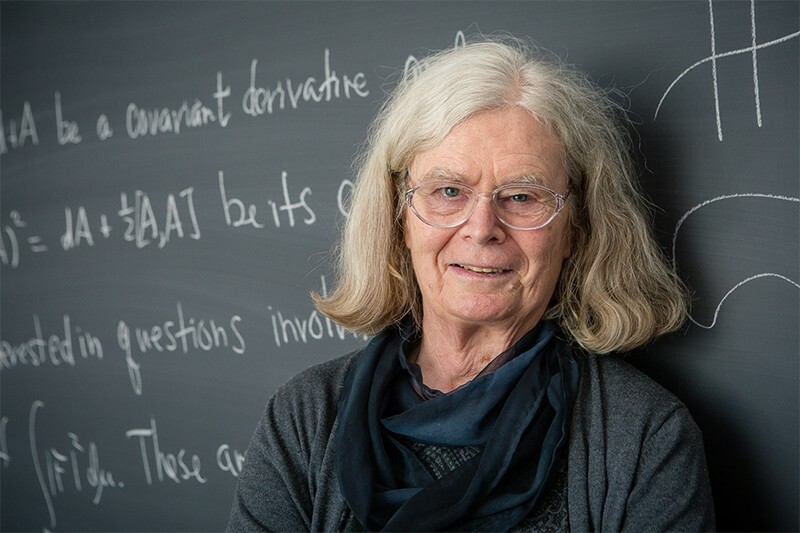 US mathematician Karen Keskulla Uhlenbeck has won the 2019 Abel Prize — one of the field’s most prestigious awards — for her wide-ranging work in analysis, geometry and mathematical physics. Uhlenbeck is the first woman to win the 6-million-kroner (US$702,500) prize, which is given out by the Norwegian Academy of Science and Letters, since it was first awarded in 2003. Uhlenbeck learnt that she had won on 17 March, after a friend called and told her that the academy was trying to contact her. “I was completely amazed,” she told Nature. “It was totally out of the blue.” The academy announced the award on 19 March. Uhlenbeck is legendary for her skill with partial differential equations, which link variable quantities and their rates of change, and are at the heart of most physical laws. But her long career has stretched across many fields, and she has used the equations to solve problems in geometry and topology. One of her most influential results — and the one that she says she’s most proud of — is the discovery of a phenomenon called bubbling, as part of seminal work she did with mathematician Jonathan Sacks1. Sacks and Uhlenbeck were studying ‘﻿minimal surfaces’, the mathematical theory of how soap films arrange themselves into shapes that minimize their energy. But the theory had been marred by the appearance of points at which energy appeared to become infinitely concentrated. Uhlenbeck’s insight was to ‘zoom in’ on those points to show that this was caused by a new bubble splitting off the surface. She applied similar techniques to do foundational work in the mathematical theory of gauge fields, a generalization of the theory of classical electromagnetic fields, which underlies the standard model of particle physics2. Uhlenbeck did much of her work in the early 1980s, when research communities that had grown apart were starting to talk to each other again, she recalls. “There was a real flowering of this relationship between mathematics and physics,” she says. Mathematicians proved that they had information useful to physicists, who “had great ideas of objects to study that mathematicians couldn’t come up with by themselves”. The work of other prizewinning mathematicians has been rooted in techniques introduced by Uhlenbeck, says Mark Haskins, a mathematician at the University of Bath, UK, who was one of Uhlenbeck’s doctoral students. These include 1986 Fields Medal winner Simon Donaldson — who applied gauge theory to the topology of four-dimensional spaces — and 2009 Abel laureate Mikhail Gromov, who studied a mathematical analogue of the ‘﻿strings’ of string theory, in which he found the bubbling idea to be crucial. Haskins says Uhlenbeck is one of those mathematicians who have “an innate sense of what should be true”, even if they cannot always explain why. As a student, he recalls sometimes being baffled by her answers to his questions. “Your immediate reaction was that Karen had misheard you, because she had answered a different question,” Haskins says. But “maybe weeks later, you would realize that you had not asked the correct question”. Karen Keskulla was born in Cleveland, Ohio, in 1942, and grew up in part in New Jersey, intensely interested in learning. “I read all of the books on science in the library and was frustrated when there was nothing left to read,” she wrote in a 1996 autobiographical essay. Uhlenbeck held positions at several universities — initially ignored or marginalized by male colleagues, she says — before settling at the University of Texas at Austin in 1987, where she stayed until she retired in 2014. Uhlenbeck has been a relentless advocate for women in mathematics, and founded the Women and Mathematics programme at the Institute for Advanced Study in Princeton, New Jersey. “She has been an enormous role model and mentor for many generations of women,” says Caroline Series, a mathematician at the University of Warwick in Coventry UK, and the president of the London Mathematical Society. 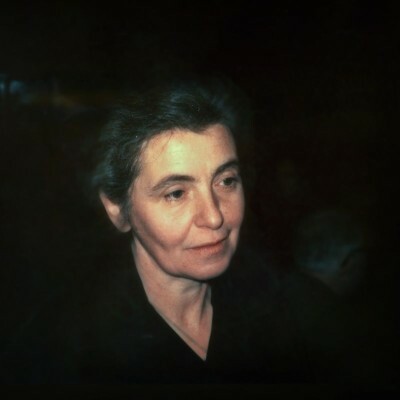 In 1990, she gave a plenary speech at the International Congress of Mathematicians — the only woman to have done so apart from Emmy Noether, the founder of modern algebra, who spoke at the 1932 meeting. Uhlenbeck has earned several other top recognitions, including the US National Medal of Science in 2000. Uhlenbeck was at first a reluctant role model. But after a few successes by female mathematicians of her generation, she realized that the path towards fair representation would be harder than expected. “We all thought that once the legal barriers were down, women and minorities would walk through the doors of academia and take their rightful place.” But fixing universities was easier than fixing the culture in which people grow up, says Uhlenbeck. 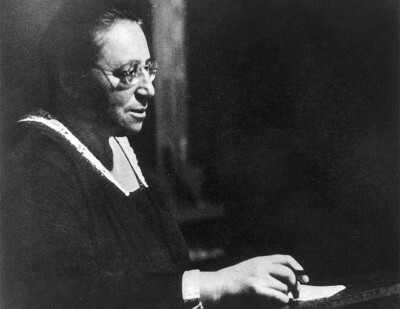 She hopes that her prize will inspire new generations of girls to go into maths, just as Noether and other inspired her. Sacks, J. & Uhlenbeck, K. Ann. Math. 113, 1–24 (1981). Uhlenbeck, K. K. Commun. Math. Phys. 83, 11–29 (1982).